Posterize Lebron? 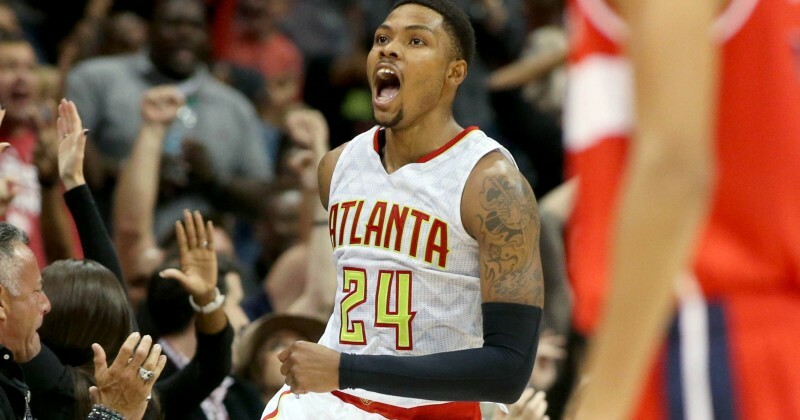 Kent Bazemore Tries and Takes one of the Scariest Falls You will Ever See…and Doesn’t get hurt. (Head Bouncing Video) - T.V.S.T. During Friday’s Hawks-Cavs game, Lebron was in the paint trying to draw a charge call. It looked as if Kent Bazemore was able to read the play and decided that he would come in and dunk on Lebron. He had Sports Center highlight moments in his sights. However, when Lebron stops, Bazemore is sort of stuck not knowing if he should dunk or lay up and in a weird way he kind of did both, he dunked himself on the floor and laid there afterwards. 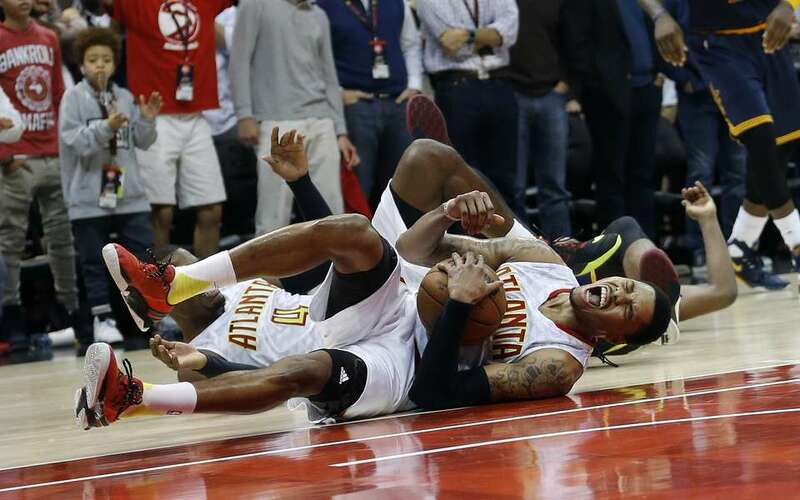 The scary part is not just Bazemore’s head appearing to hit the hardwood, but his leg shakes after he laying on the ground. I think everything looks much worse then it really was. Bazemore laid still for a few moments, made it to his feet and then hit both of his free throws. After he came out of the game he stayed out and returned during the second quarter and then went back to work covering Lebron. In case you were wondering what a correct posterization looks like – look no more. This came via the hornets win over the 76ers also on Friday night. Marvin Williams came through like a wrecking ball and Carl Landry was his victim. Beautiful on the giving end, Ugly on the receiving end.